India's Test series versus Australia, starting from December, is arguably India's most important fixture before the Cricket World Cup 2019, as India have a golden opportunity to create history by defeating the 'weakened' Australia in a Test series in their home soil for the first time ever. Even in the absence of Smith and Warner, Australia's best two batsmen, they do have a solid bunch of youngsters and matured players who carry the potential to upset India in their home soil. On the other hand, India too showed a good fight in South Africa and England and could achieve positive results in Australia. The Indian selectors could have a bit of a headache selecting a fixed number of players in the Indian squad touring Australia for the four-match Test series, as they have faced a lot of criticism in the past for their team selection. Considering the Indian team selection for the Windies Tests, the selectors could stick with the same trio of openers in the squad facing Australia. 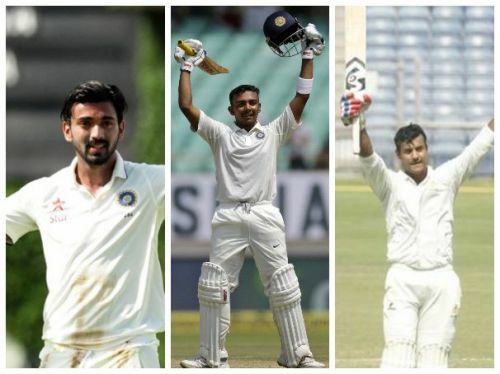 Prithvi Shaw, who was handed his Test debut ahead of Mayank Agarwal, has already cemented his spot in the squad with his fine century knock, whereas KL Rahul got out for a duck in the 1st innings of the first Test. However, KL Rahul too can make a strong case for himself if he performs well in the 2nd Test match. Similarly, Mayank Agarwal could be the backup opener for India. It would be highly unfair for Mayank if he's dropped from the squad without getting a match. Mayank has got runs in the domestic circuit in all the formats consistently and could be handed his Test debut versus Australia, in case any opener fails to score runs in the first few Test matches.